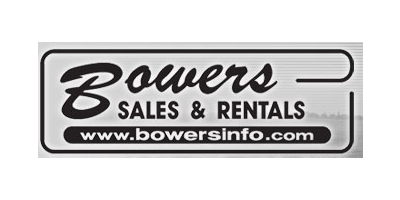 Bowers Sales and Rentals was established at its current location in 1982 by Lawerence Newswanger. In 1993 Nevin Weaver (current owner) started working for Lawrence. Nevin's father bought the business in 1995 and the name was changed to Weaver's Sales and Rentals. In 2005, Nevin bought the business and eventually changed the name back to Bowers Sales and Rentals. Now is the time to buy your Stihl leaf blower! Free hearing protectors with every leaf blower bought in September! High powered quality hand held blower for only $149.95. Back pack blowers for the large job starting at $279.95. Stop in and see us today to see the full line of Stihl fall cleanup items in stock. Come in and see all the items on display. Call us at 610-682-2215 for information or help in selecting the right model for you! We provide a full assortment of quality branded lawn and garden equipment from manufactures like Toro, Stihl, Ferris, Simplicity and BCS. Riding mowers, zero turn and walk behind mowers, tillers, chain saws and trimmers! We have an extensive selection available and a knowledgeable staff to assist you in making your purchase. Our large selection of rental equipment available will help you with specific needs such as flooring, roofing, sanding, and, of course, landscaping. Just call ahead and we will put a reservation in for you and have it ready for you to pick up in a minimal amount of time, or we can deliver it right to your door! Our proficient service department is one of the key parts to our business. We thoroughly service most brands of power equipment, including mowers, trimmers, chain saws, and much more. Our technicians are certified for all the brands we sell and many others. We offer quick and accurate diagnostics and efficient service. We offer a comprehensive selection of used equipment such as mowers, chain saws, trimmers, and much more. All of our items are listed on eBay. To find more out, click on the link at the right or call us if you have an inquiry on any of the items.